Syfy has announced the launch of a virtual reality app for The Expanse, the network’s highly-anticipated drama series from Alcon TV premiering in December 2015. 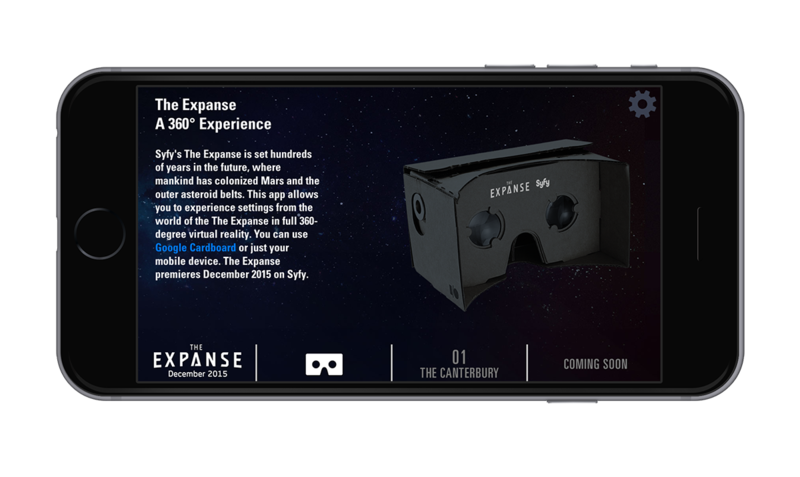 Utilizing Google Cardboard, the app immerses viewers into the vast world of The Expanse, giving them the opportunity to enter into settings from the show and experience them in virtual reality. 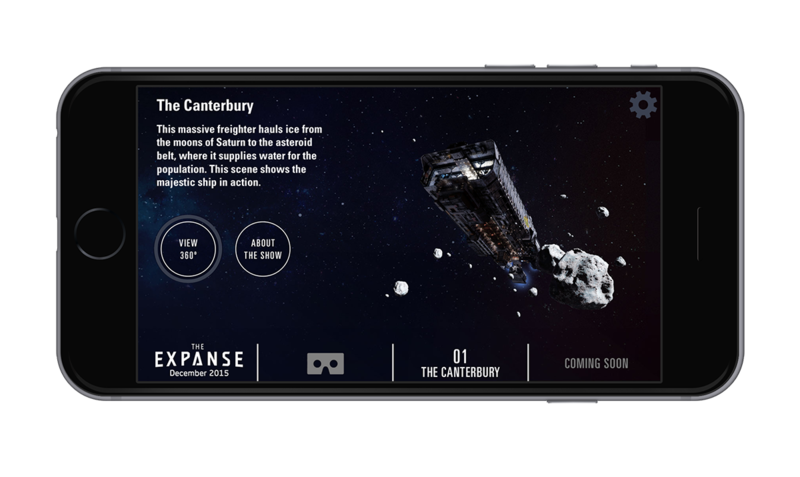 “The Expanse VR” app – available for iOS and Android devices – takes users on a 360-degree tour of the spaceship Canterbury (the massive ice freighter introduced in the first episode of The Expanse). Additional virtual reality content will be added to the app in the months leading up to the series’ premiere in December. 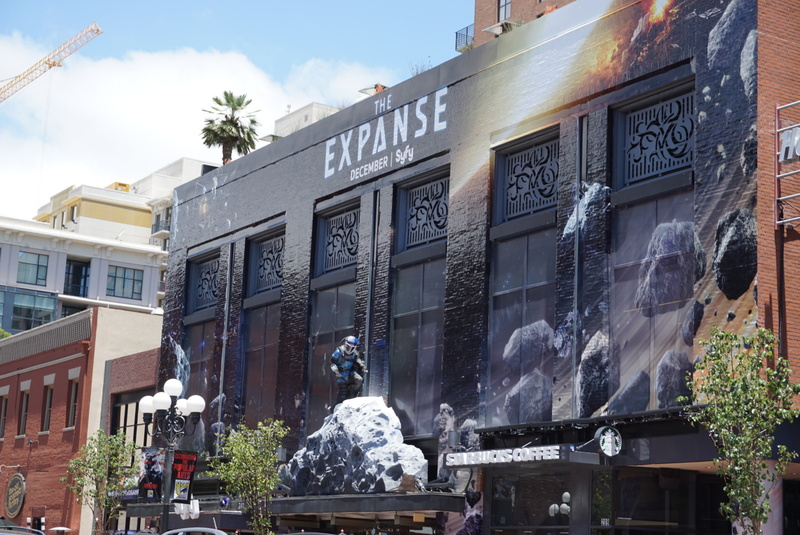 To kick things off, Syfy is offering 13,000 free Cardboard viewers to attendees at San Diego Comic-Con, available at The Expanse Café (Mary Jane’s Café in the Hard Rock Hotel, 207 5th Ave). All weekend, fans can stop by the café to learn more about the series, demo and download the app and assemble their own Google Cardboard. In addition to experiencing The Expanse in virtual reality, Comic-Con attendees can also attend a screening of the series’ first episode and a Q&A with the cast and producers (Saturday, July 11 at 4PM, Indigo Ballroom, Bayfront Hilton). Conceived from a partnership between Syfy and NBCUniversal Media Labs, the app was developed by IM360 in collaboration with artists at Digital Domain. The team worked in close conjunction with the visual effects department on The Expanse, maintaining the experience’s authenticity by working off of materials used to build the Canterbury on the show. Premiering on Syfy this December, The Expanse is a 10-episode space drama set 200 years in the future, after mankind has colonized the solar system. A hardened detective (Thomas Jane) and a rogue ship’s captain (Steven Strait) come together for what starts as the case of a missing young woman and evolves into a race across the solar system to expose the greatest conspiracy in human history. The series is based on the popular New York Times bestselling book series collectively known as The Expanse, written by Daniel Abraham and Ty Franck (under the pen name James S. A. Corey). This entry was posted in Comic Con, Event, Science Fiction, Tech, TV and tagged Alcon TV, Google Cardboard, NBC Universal, San Diego Comic Con, Sci-Fi, science fiction, SDCC, SyFy, The Expanse, TV, virtual reality. Bookmark the permalink.